Senior delegates of Hamas Movement and the Popular Front for the Liberation of Palestine met in Gaza on Tuesday evening to discuss reactivating the national reconciliation process. Dr. Mousa Abu Marzouk, a political bureau member of Hamas, said in a terse press release that the delegations discussed a number of national issues focusing on reconciliation. For his part, Jamil Mizher, a PFLP politburo member, told Anadolu news agency that his Front along with other factions are seeking ways to end political differences in the Palestinian arena. He said that his Front, in cooperation with other factions, is trying to resume reconciliation efforts and is holding contacts toward that end with each of Hamas and Fatah. 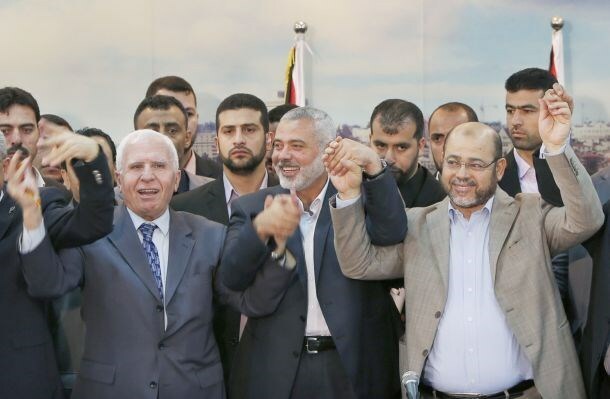 Hamas and Fatah had signed last September an agreement that ended political division in the Palestinian arena and led to the formation of a consensus government. However, the agreement met hurdles and was partially frozen due to differences in its implementation. The Global Conference for Asylum and Immigration, held in South Africa’s capital of Johannesburg, reiterated at its closing stages Tuesday, Palestinians’ right of return to their native soil. The conference, staged by the World Social Forum for Migration to mark the first anniversary of Nelson Mandela’s death, was joined by a Palestinian delegation, along with representatives of the Arab communities based in the U.S. and Latin America. The attendants voiced their firm denunciation of Israel’s apartheid and racist policies perpetrated in the occupied Palestinian territories. The conference called attention to Palestinians’ right to restore their self-determination and to establish an independent Palestinian state with Jerusalem as its capital, as is already stipulated by the international legitimacy. Speakers at the conference dubbed Israel’s racist policies barefaced violations of human rights and intolerable breaches of international laws. A presentation delivered by the Palestinian MP Jihad Abu Zneid briefed the audience on Israel’s violations of human rights in the occupied Palestinian territories and occupied Jerusalem and updated them on Israel’s apartheid policies and terrorism against Islamic holy places and the peaceful Muslim congregations in holy al-Aqsa Mosque. The conferees voiced joint disapproval of Israel’s chauvinistic and imperialistic tactics, accentuating Palestinians’ right of return to their motherland—Palestine. 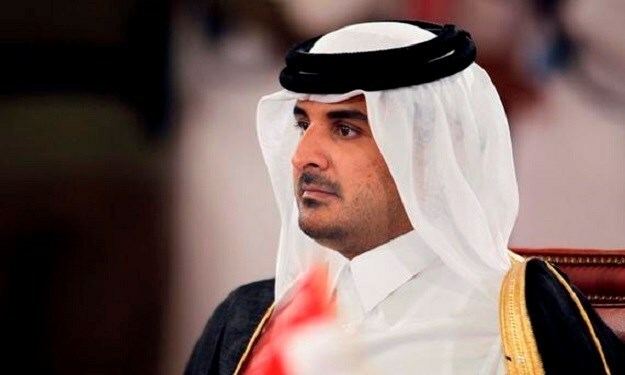 The Emir of Qatar Sheikh Tamim Bin Hamad Al-Thani has said Israel's illegal settlement policies and attacks on the sanctity of Al Aqsa Mosque and Occupied Jerusalem "contradict the international norms in their simplest sense." The Emir said that such aggressions make it imperative on the Arab countries and the international community to assume their responsibility towards Palestine. The statement was delivered on Tuesday evening during the 35th session of the Supreme Council of the Gulf Cooperation Council (GCC) held on the backdrop of the complicated and delicate international and regional circumstances. Israel's aggression and terrorism in the occupied Palestinian territories along with its continuing violations of human rights and the persecution of Palestinians through its apartheid policy will have grave consequences on the region, turning the-two state solution, into an "unviable slogan," he added. Emir Tamim said the Arab and Islamic worlds should take a serious stand to defend Islamic holy shrines in Occupied Jerusalem and provide further support for the people of Palestine. He slammed the silence maintained by the international community over Israel's terrorism as "a big crime against humanity." He called on the international community to pressure the Israeli occupation to observe the international legitimacy resolutions in an attempt to end Palestinians’ agony and thwart Israel’s Judaization plots in Occupied Jerusalem. Palestine became an official observer at the Hague's International Criminal Court, on Monday, according to UN envoy Riyad Mansour. 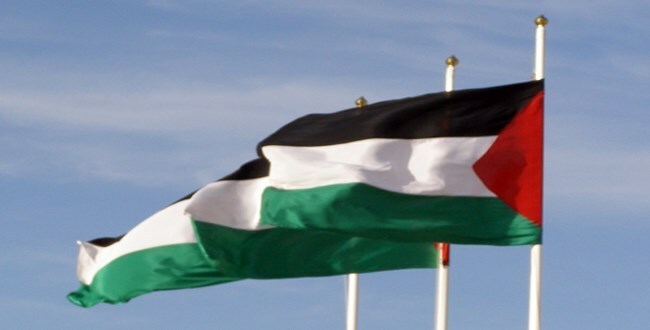 The Palestinian official said the move would strengthen possibilities for Palestinian statehood, Ma'an News Agency reported. Mr. Mansour additionally stated that Palestine's new status at the ICC was "another victory for Palestinians at the international level, bringing them closer to restoring their rights, and opening the door wide to drag leaders of the Israeli occupation to the dock of this court, so the souls of the victims can finally rest in peace." He said that Palestine was now moving in the direction of becoming full members of the ICC. Palestine's recognition comes as a procedural move at the opening session of the Assembly of States Parties to the Rome Statute, according to an Associate Press report. The PLO had, in 2009, appealed to the ICC's prosecutor's office for official investigation into war crimes and crimes against humanity committed by the Israeli military in Gaza. There has so far been no probe, according to Ma'an, as Palestine is not an ICC member state and its status as a state is uncertain within some international circles. 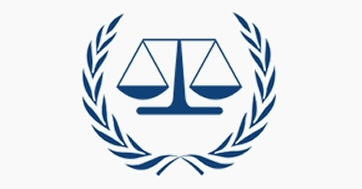 However, the PLO obtained the status of observer state at the United Nations, in late November of 2012, opening the door for an ICC investigation. Hebron Mayor Dr. Daoud Al Zatari stated, Tuesday, that he had recently received an envelope at the Municipality, containing death threats and a toxic substance. According to the PNN, security and medical sources reported that the substance, which was later sent to the medical laboratory for examination, caused the Mayor's secretary and two other employees to fall into a state of unconsciousness, upon opening the envelope. The employees were sent to the hospital for treatment. "As citizens and officials, we are entitled to protect the rights of our people and land and reject these threats," Mayor Zatari said, and revealed that an extremist zionist organization called "Pulsa DiNura Committee" is behind the attack. Furthermore, a law court related to the committee has reportedly called for the death of the Hebronite Mayor for being "pro-Nazi" and "anti-Semitic" and for not denouncing the killing of the Jewish settlers in Hebron as a crime. Hebron is a frequent stage for violent confrontations in the West Bank region. Just this past September, an Israeli settler ran over a 6-year-old child -- a common occurence in the occupied territories. "The envelope contains another letter for President Mahmoud Abbas, calling him a Nazi," Al Zatari added. The extremist group promised those threatened "a near death" via deadly virus, PNN reports. The Hamas Movement said in a statement on the 27th anniversary of its inception that Jerusalem and the West Bank would be its coming inevitable battlefield and the blockade on the Gaza Strip would not weaken it. 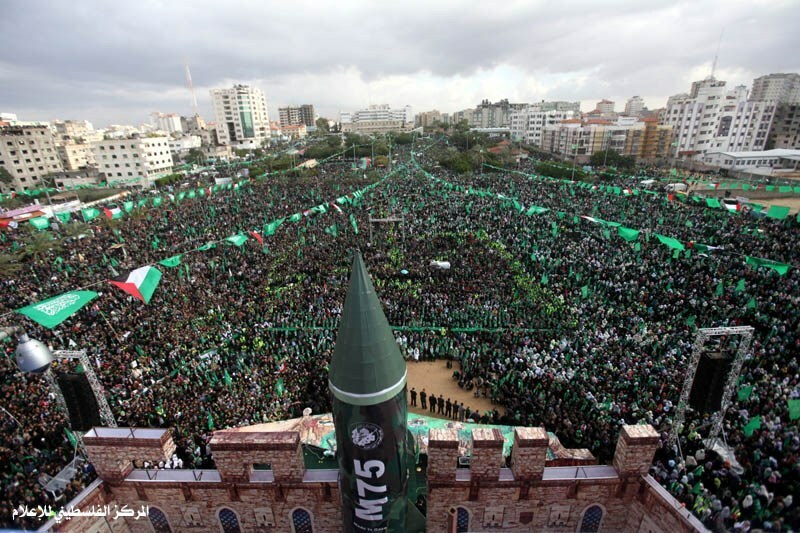 "Hamas emerged from the deep wounds of its people…and their long history of struggle after all nationalist and leftist struggle practices proved there was something missing from them and that the successive pitfalls, growing differences, rifts and divisions result from the loss of the most important element, which is, the genuine religious and cultural reference and the Islamic identity," the Movement stated. "Hamas appeared after it sensed that a public and secret auction had been launched to sell the [Palestinian] cause, in which talks are held in-camera with the occupation, and successive concessions are made by Arab summits, and where the occupation of 78 percent of the Palestinian land was already recognized and the Islamic identity [of Palestine] was tampered with to appease the sponsors of the negotiations." "From the first moment, Hamas specified its identity and goals. It is a Palestinian national Islamic Movement adopting all forms of resistance in order to cleanse all Palestine from the impurity of the occupiers, and its only enemy is the occupation." "We are a Movement believing in democracy and the prohibition of the Palestinian blood and not interfering in any Arab country's internal affairs, and we see the Arab peoples as a strategic asset for the Movement, the Palestinian people and their national cause." "Despite the horrible guile, Hamas have triumphed and made several achievements. It imposed the deterrence equation on the enemy and destroyed the prestige of its army when it repelled all its criminal attacks, and then forced it to retreat from the Gaza Strip in 2005 after fierce resistance and great sacrifices." "We are extending our hands for reconciliation with everyone belonging to Palestine, but there would be no solution at the expense of a single grain of its soil or concession on the right of return or the holy sites," the Hamas Movement underlined. Palestinian President Mahmoud Abbas says Palestinians cannot and will not recognize Israel as a "Jewish" state, Al Ray correspondence reports. "Working with Israel is very difficult, if not impossible," he added. The president also reiterated the Palestinian call for an independent state based on the pre-1967 boundaries, and an end to the Israeli occupation. "We want a state in the 1967 borders with Jerusalem as its capital, and we want to [set] a date to end the occupation. That is all we want. If Israel agrees to this now, we will go to negotiations. 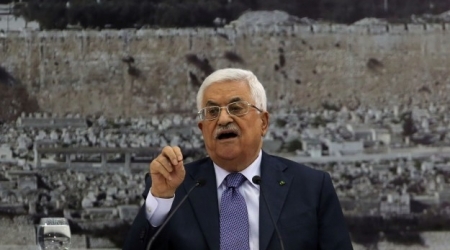 [But] they use deception and excel at media fraud,” Abbas said. On May 17, 2014, almost all countries in the United Nations voted in favor of Resolution 58/292 stipulating that the borders of a Palestinian state should be based on the pre-1967 borders. "If we cannot get what we want, there are other steps [we can take]. The first step is joining many international organizations, such as the International Criminal Court and International Court of Justice,” Abbas further added. “There are 520 international organizations, and [joining them] will surely bother everyone. If there is an appeal to the ICC, and a Palestinian files a lawsuit against an Israeli, they [the Israelis] get scared, because they are wanted and cannot travel." Tel Aviv, however, has refused to return to the 1967 borders and is unwilling to discuss the issue of occupied East Jerusalem. A senior delegation of the Hamas Movement arrived in the Iranian capital Tehran at dawn Monday on a few days official visit. The PIC reporter said that the delegation is led by political bureau member Mohammed Nasr and comprises Maher Obaid, Jamal Issa, Osama Hamdan, and Khaled Qaddoumi, the Hamas representative in Tehran. He said that the delegates would confer with a number of Iranian officials on Palestinian cause developments. Amir Moussawi, the director of the center for strategic studies in Tehran, said that the visit, which he described as important, would turn a new page in the relations between Iran and Hamas. He told Resala.net website that the visit would pave the way for a visit by Khaled Mishaal, the supreme leader of Hamas, to Iran. Moussawi said that the visit reflected the Iranian leadership’s belief in the importance of Hamas’s role. He expected that Mishaal, during his upcoming visit, would meet president Hassan Rouhani and the supreme guide of the Islamic Republic of Iran Ali Khamenei among other officials. A Palestinian man has succumbed to wounds sustained during a car attack on a light rail station in East Jerusalem. 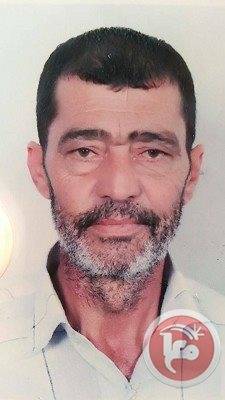 60-year-old Abd al-Karim Nafith Hamid was injured when a Palestinian slammed his car into the Sheikh Jarrah tram station, killing a Druze officer in the Israeli border police and injuring at least 13 other people, Hamid's wife Umm Ibrahim told Ma'an News Agency. Mr. Hamid suffered multiple fractures of the spine and feet, and subsequently had a heart attack. According to his wife, he did not receive the necessary medical treatment right away. "After the Israeli forces identified the injured people, they handcuffed my injured husband because he is an Arab and didn't offer him the appropriate treatment. Neither did they evacuate him to the hospital immediately." She said that, according to eyewitnesses, her husband arrived at Shaare Zedek Medical Center handcuffed. "He has been in an intensive care room and he was given all the necessary surgeries, but he was declared dead today," Umm Ibrahim said. Mr. Hamid left behind 12 children and two widows. His body was taken to the al-Maqasid hospital, in Jerusalem, and then to his home village of Anata, east of Jerusalem. He will be buried at Bab al-Sahira cemetery, in Jerusalem's Old City. 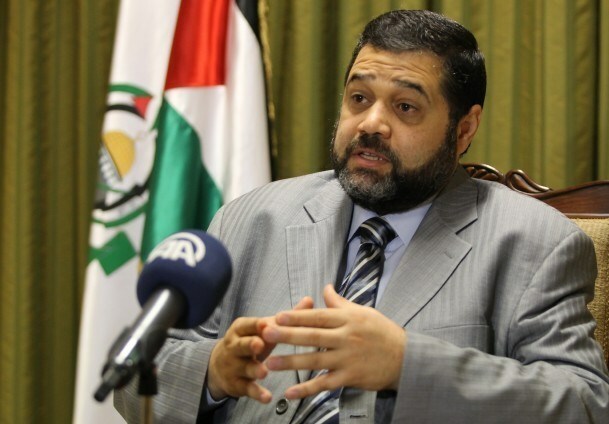 Member of Hamas's political bureau Mousa Abu Marzouk said that the problem of salaries and unpaid civil servants in the Gaza Strip would not end without a political decision by president Mahmoud Abbas. During his participation in a union meeting in Gaza city on Saturday, Abu Marzouk stated that Palestinian premier Rami al-Hamdallah was straightforward in this regard and said clearly that this issue needed a political decision from Abbas. 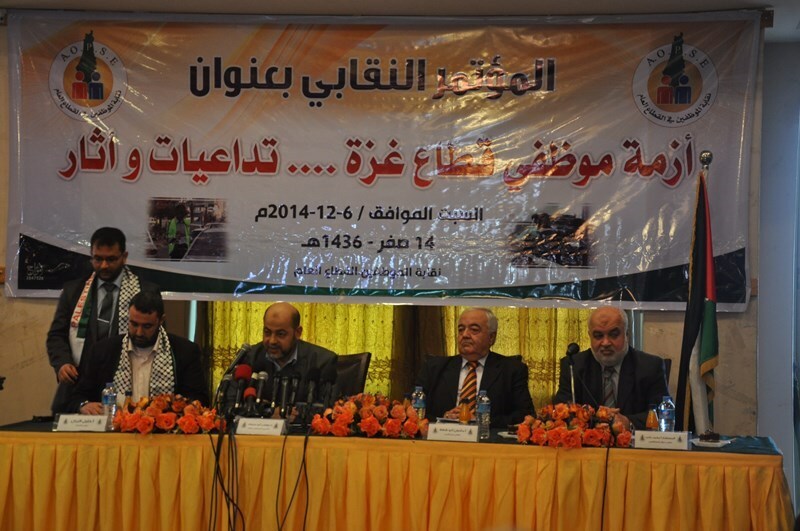 He also noted that politically-motivated decisions in Ramallah are behind many unsolved problems in Gaza. The Hamas official underlined that the national unity government was formed as a replacement for the previous governments in Gaza and Ramallah in order to complete certain assignments agreed upon in the reconciliation agreement, warning that it would be replaced if it failed in its mission. The unity government was assigned, among other duties, the responsibility for creating the atmosphere to hold elections on schedule and execute the reconciliation agreement's files, including the issue of the social reconciliation, Abu Marzouk said. 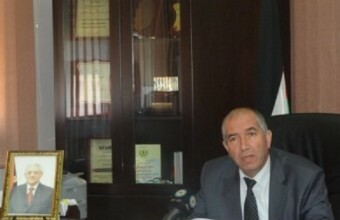 He added that the reconciliation agreement clearly stipulated that the unity government is responsible for the civil servants working for the previous governments without discrimination, pointing out that the formation of the legal and administrative committee was to look into the grades and promotions of the employees and not the legitimacy of their presence in their jobs. 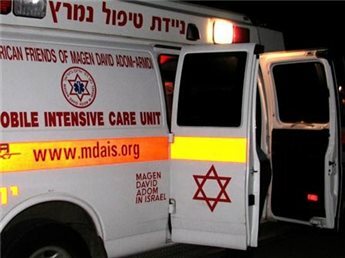 A Palestinian worker from the Nablus district was killed in Israel, on Saturday, when unidentified gunmen opened fire at him, according to a local official. 25-year-old Kathem Ramadan Sami Odeh was killed when three unidentified gunmen attacked a workers' apartment in the town of Qalansuwa, the head of the Odeh's village council told Ma'an. Head of the Qusra council, Abd al-Azim al-Wadiya, said that two bullets hit Odeh in the stomach and one in the neck. Other workers in the apartment managed to escape, after being assaulted by the gunmen, al-Wadiya said, without providing further details. The motives behind the shooting remain, as of yet, unclear. Odeh's body is being held in the Abu Kabir Forensic Institute in Tel Aviv, where an autopsy will take Mr. al-Wadiya said. The Popular Front for the Liberation of Palestine (PFLP) accused on Saturday the Palestinian unity government of neglecting Gaza Strip, calling upon it to bear its obligations towards the humanitarian crisis in the Strip. In a statement, the PFLP pointed out that the deliberate negligence of the Palestinian people's needs in Gaza deepened the catastrophic situation in the Strip. 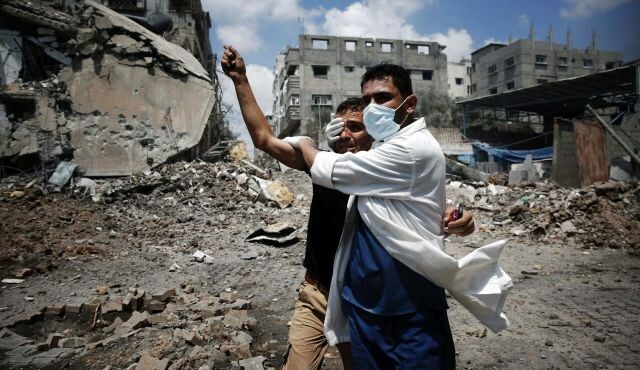 The unity government has disclaimed its obligations in Gaza especially in the health sector which led to a real health disaster in the Strip’s hospitals and medical centers after cleaning companies halted their services for not being paid for the past nine months, the statement said. The humanitarian situation in the Gaza Strip that has reached its worst point and is threatening to explode, the PFLP underlined, calling upon the unity government to bear its national and moral responsibilities in Gaza or to resign. The movement also called on the Palestinian unity government to support the budgets of health, education, labor and social affairs ministries and to reinforce the Palestinian people's steadfastness. On the other hand, the statement demanded PA Chairman Mahmoud Abbas, in his turn, to bear his obligations and to coordinate with the Egyptian authorities for the opening of Rafah crossing and to make all possible efforts to lift the siege on Gaza. The statement also stressed the need for the formation of a national committee to follow-up the reconstruction process of Gaza as soon as possible away from UN supervision or Israel’s interference.